Apart from the control script that lets you control the services, every Bitnami stack includes Gonit as a component that allows you to monitor and control the services. Using the sudo gonit command followed by the action and the service name as argument, you can easily stop, start and restart services. 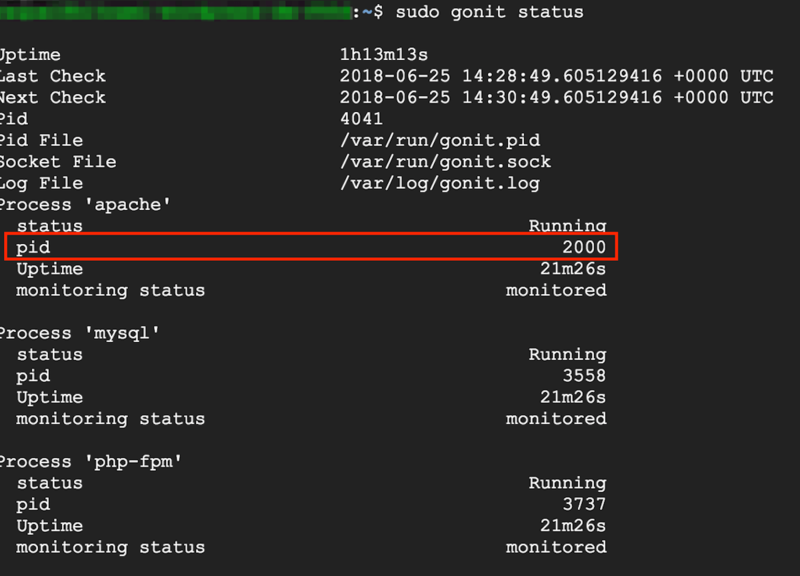 To check which services are included in your stack, execute the sudo gonit status command as discussed in the next section. 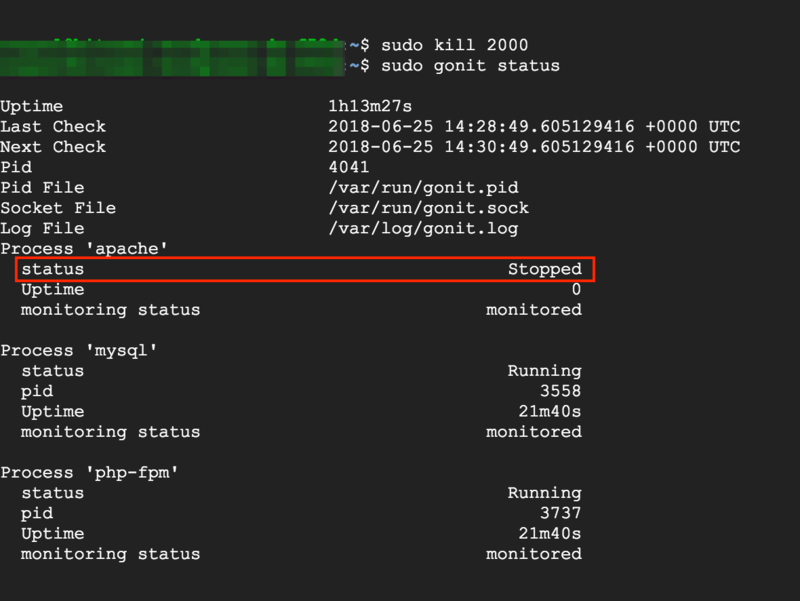 With Gonit, system status can be viewed directly from the command line. It monitors processes, program files, directories and filesystems of each service/component included in your stack. The main Gonit configuration file is located at /etc/gonit/gonitrc. The configuration files for the servers monitored by Gonit are located in the /opt/bitnami/config/monit/conf.d/ directory. Gonit continuously monitors server status. When a service goes down, Gonit automatically initiates the recovery of the affected services. 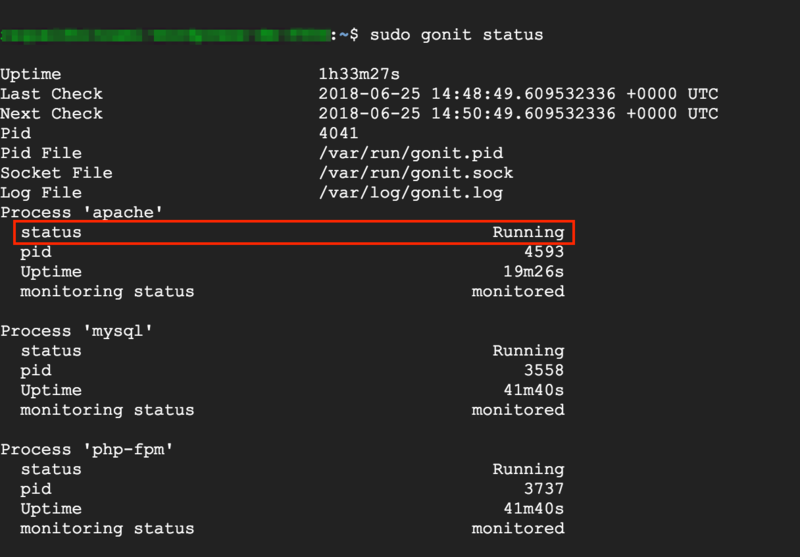 Execute the sudo gonit status command to identify all the running processes, and note the pid of the server process you want to stop. This example uses Apache.